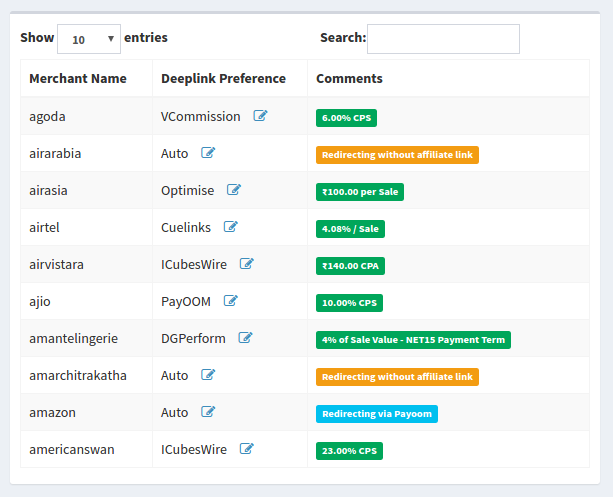 LinkMyDeals generates deeplinks for you exactly the way it is generated in your Affiliate Networks' Panel. All you have to do, is enter your Network IDs in your settings. 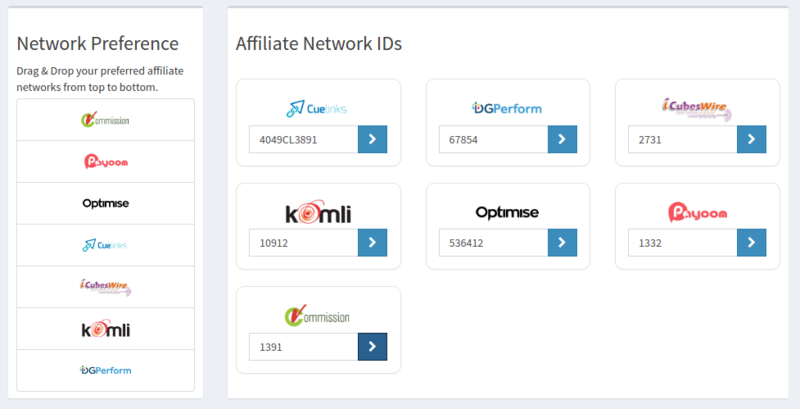 You can set which merchant you want to deeplink with which Affiliate Network. You can also arrange the networks in your order of preference. So next time you ask for a deeplink, our system will generate the link based on your network preference and campaign availability. SmartLinks are Cloaking URLs that you can use to redirect all your outgoing links via LinkMyDeals.com, which in turn redirects them via your preffered Affiliate Network, depending on your Affiliate & Merchant Settings. There are many advantages of using SmartLinks over Affiliate Deeplinks. The biggest drawback of using Affiliate Network Deeplinks directly in your website, is that if the campaign is paused or the URL parameters need to be updated, then you will have to manually mofidy each and every link on your website. On the other hand, if you use SmartLinks, LinkMyDeals keeps track of all such updates and your website does not need any updates. Also, if you want to switch your campaign for a particular website from one network to another, all you need to do is change your Merhcant Settings at LinkMyDeals, and your SmartLinks will automatically switch to the new network. 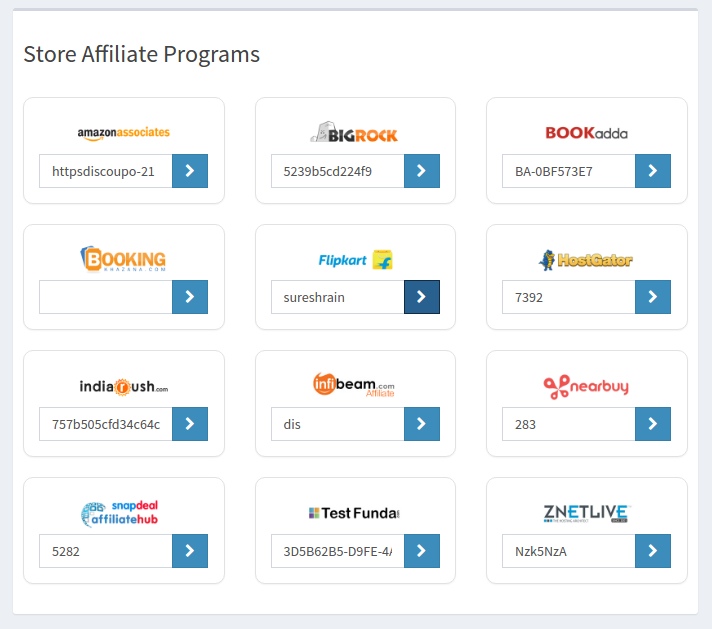 SmartLinks redirect via exactly the same Deeplinks as generated by your Affiliate Networks. So the Affiliate IDs are YOURS, and you keep 100% of the commission earned. Your relationship with Affiliate Networks continues as before. We only help you to auto-deeplink.